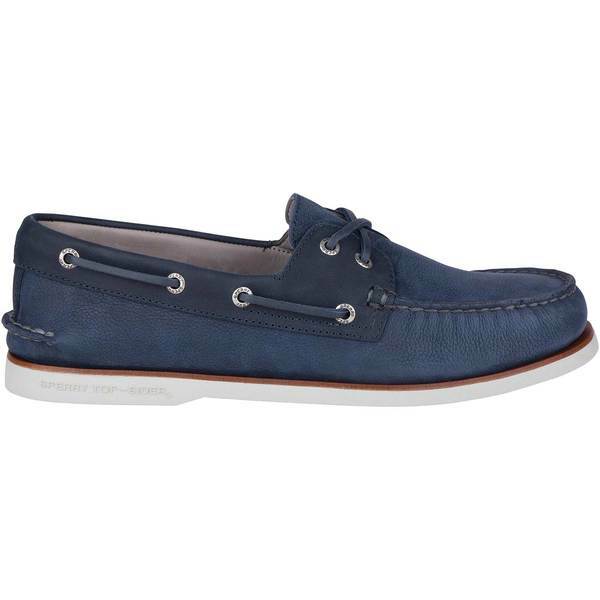 Men's A/O Gold Cup 2-Eye Boat Shoes feature luxury lambskin lining that surrounds the foot with ultra-soft and enduring comfort. Genuine hand-sewn uppers feature rich, nubuck leathers and true moccasin construction to ensure lasting wear. 360° lacing system provides a secure, customized fit. Genuine rawhide laces. Full-grain leather welt adds durability. Non-marking outsole with razor cut Wave-Siping™ delivers outstanding wet/dry traction. Latex outsole and cushioned Ortholite® footbed combine to provide all-day comfort. Imported.